Some anglers are saddened by the onset of winter, while others welcome the change of season. Winter has become one of our favorite times of the year to fly fish, especially when we’re seeking a little solitude. Anglers willing to endure the elements will typically find uncrowded conditions and a few cooperative trout on almost any winter outing. Our goal this winter is to keep you fly fishing!We are now offering a reduced “winter rate” for a 6-hour guided trip from now until March 15, 2015. In addition, we have also added a Winter Fly Fishing Clinic to our curriculum. Spend the day with veteran guide Pat Dorsey on the fabled South Platte River near Deckers to learn the nuances of catching trout during the winter. Dorsey will begin the day with a discussion on fly selection and how to rig your rod. 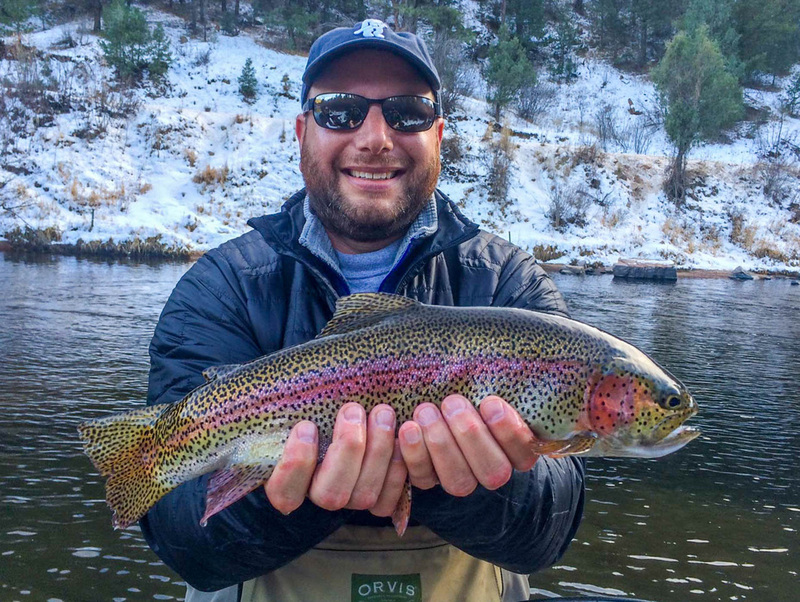 Then he smoothly transitions into seasonal strategies (where to find trout during the winter), followed by learning the tactics and techniques to consistently fool trout between mid-November and mid-March. For the remainder of the day, Dorsey will help each student refine their skills. From now through March 15, 2015, we are offering a 6-hour guided trip on the South Platte River at Deckers or in Cheesman Canyon. This is a great opportunity to refine your nymphing skills with the possibility of catching a rising trout on a tiny dry fly. Let one of our vetran guides show you how to find trout in the winter, how to sight fish, how to choose the appropriate flies, and most importantly; learn how to execute the correct tactics and techniques to catch trout during the winter. Cost: $295.00 for one or two anglers. 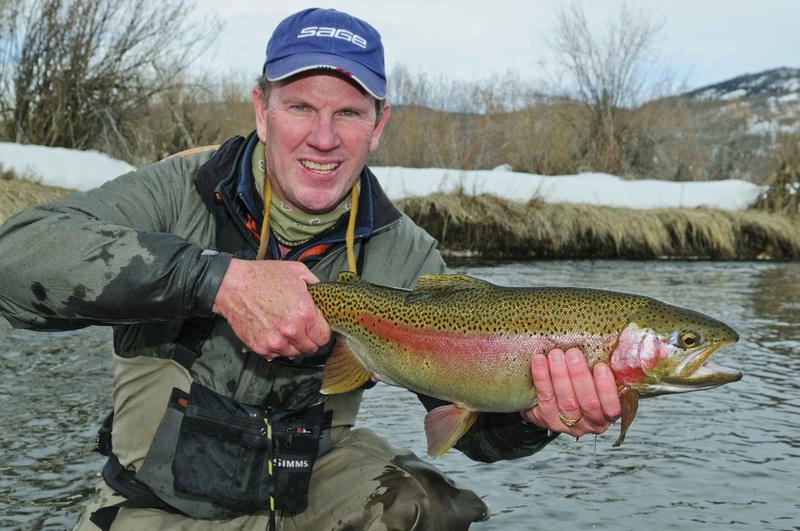 Trip includes waders, fly rod, flies, a leader and a streamside lunch. Trip does not include transportation, or guide gratuity.